Chris Pratt seems like a friendly guy on screen, but persistent rumors suggest that there’s a darker side to Hollywood’s favorite leading man. According to numerous reports, the Jurassic World star insists on being paid for every movie he appears in, and allegedly won’t even show up to a set unless producers are willing to bribe him with cold, hard cash. If this is true, it seems that Pratt’s affable public persona is a lie. If you’re holding out hope that Andy Dwyer isn’t really a greedy miser, just know that things aren’t looking good. We did some research, and apparently Pratt ordered the studio to pay him $1.5 MILLION to star in Guardians Of The Galaxy. Not only that, his contract stipulated that he gets paid even more money every time the movie is shown on TV! That’s right—if Guardians appears on cable 10 years from now, Chris wants to get rewarded for it, despite not doing any additional work. Apparently this pattern of behavior stretches way back, including Chris’ demand to get paid for every single episode of Parks And Recreation he appears in. 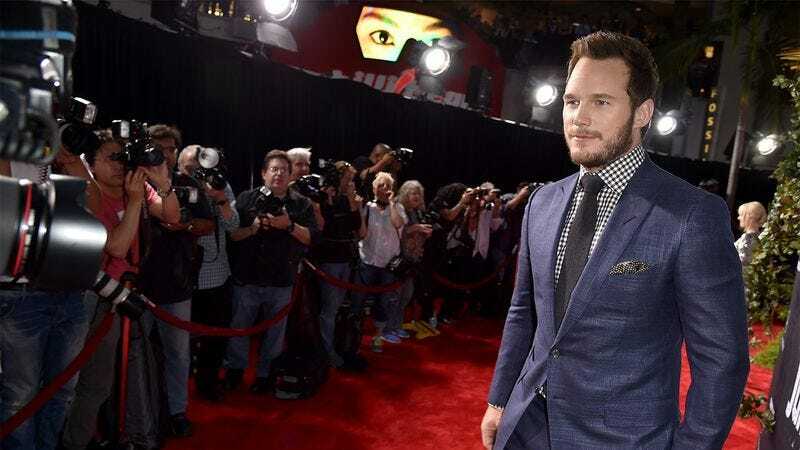 And according to former coworkers from before his acting career, when Pratt worked in a restaurant as a waiter, he was already living a double life by collecting money and tips nearly every day he went to work. If Chris Pratt wants to save his career, now is the time to do a serious mea culpa; however, the actor has yet to issue a statement. If the latest gossip is true, he’s doubling down on his craven avarice and demanding tens of millions to appear in the Jurassic World sequel. Sad to say, but it looks like it might be time to look for a new favorite actor.